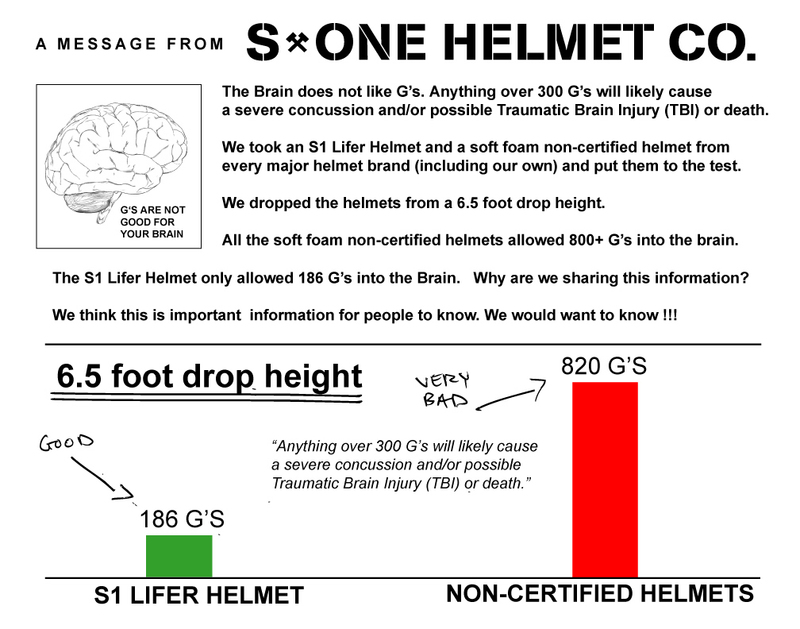 S1 Lifer Helmet Vs. Soft Foam Helmet (Helmet Testing Lab) from s-one helmet co / s1helmets on Vimeo. The Myth is BUSTED! Soft Foam helmets are NOT ok to wear for Roller Derby. 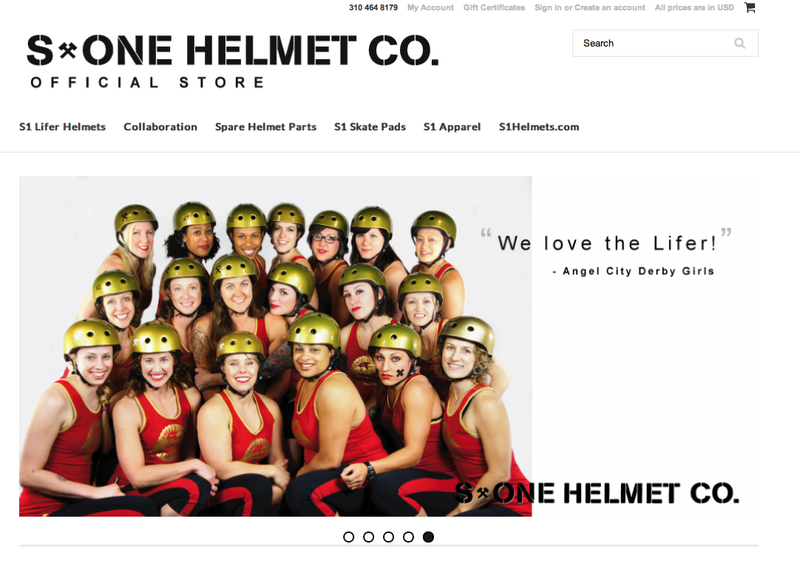 There are websites, helmet companies and retailers that are spreading the message that non certified helmets are safe and preferred for Roller Derby. We went into the helmet testing laboratory and dropped both a non certified (Soft Foam) and the certified S1 Lifer helmet ( Hard Foam) and measured the G force of the impacts from a 2 Meter drop. The 2 meter drop is the standard drop height to pass the high impact test which simulates a 6.5 ft drop from a stand still straight to your head or a 14 MPH impact straight into a wall. It is alarming how poorly the soft foam helmet performs in this test. 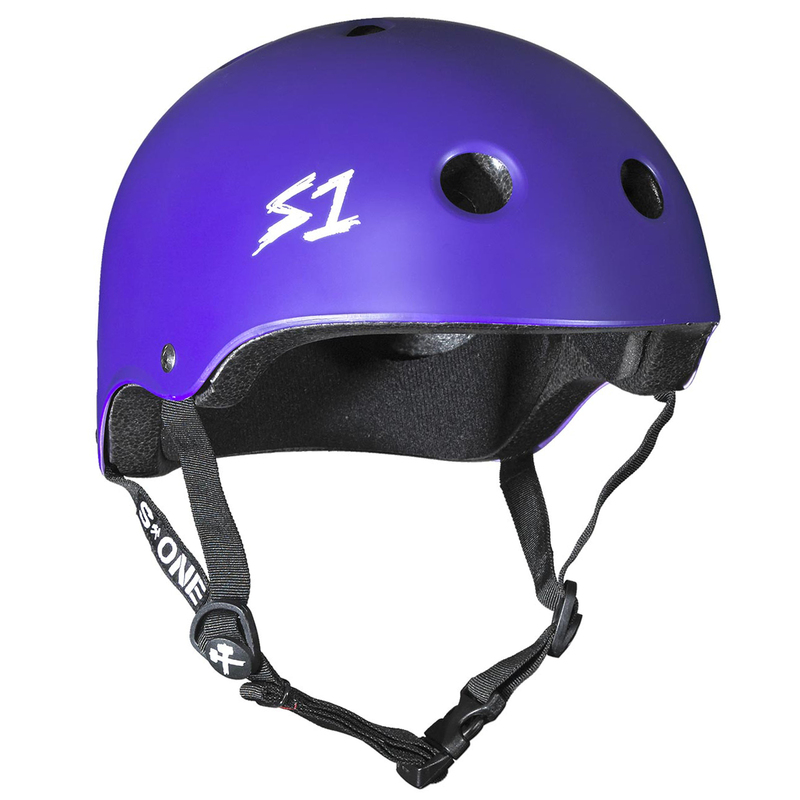 We suggest that anyone who plays roller derby wear a helmet that is both certified for Multiple and High impacts. CPSC 1203 (High Impact Test) ASTM 1492 (Multiple Impact Test). The Brain does not like G's! So then, are you planning to delete the soft-foam 'Premium' and 'Cromag' from your Roller-Derby-directed offerings? I do see the disclaimers & recommendations on the product pages, but it baffles me why you'd even offer them to the derby crowd if you're convinced they're "NOT ok to wear". Reffing the game, checking the skaters' equipment before every game, it sickens me how many I see wearing helmets such as your Premium, most having bought them from a derby-specific shop or ordered from a derby-specific page of your catalog. You do a disservice to their safety by continuing to put your trusted name & logo on these toy helmets. Thank you S-One for being the only company putting out this info to encourage people to get into safer helmets. It baffles me that Ben Seese publicly attacks you for offering other helmets when you're clearly informing the derby community so that they can make an informed decision when buying a helmet. When I'm not playing roller derby I'm skating without a helmet and a soft foam seemed better than none. 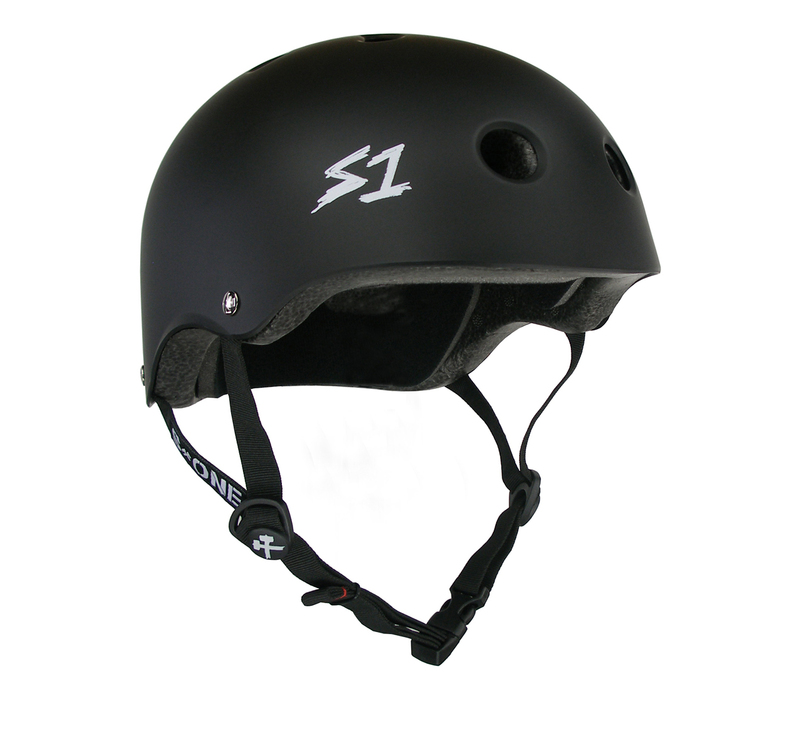 I stumbled across this research after shopping for a soft foam helmet since I preferred the way they sit on my head but this blog actually changed (and saved) my mind, so thanks. If roller derby has a problem regulating protective gear they should deal with that rather than taking it out on those trying to help. Ben Seese- you should right a letter to whoever tells you to do gear checks. wow really like the video .